Do you enjoy the thought of spying on your loved ones? I can’t really say that I’m a fan of it, but I suppose if you’re an overprotective parent, you’ll go to great lengths to keep track of your teen. 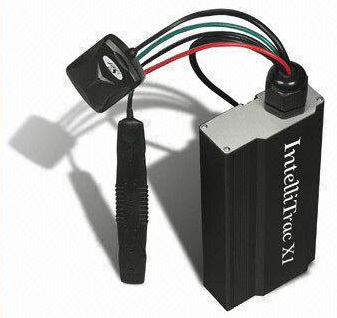 If you happen to be both overprotective and a tech junkie, I really feel sorry for your kids, as I have little doubt that you would put this X1 GPS tracking system to use in their vehicle. I’ve seen little black boxes that will keep track of things like location and speed, but this little Intellitrac X1 really takes the cake. First, you have your basic real-time GPS tracking system that will automatically log each trip. Big deal, right? What would you say if this little guy could actually tap into the conversations going on inside the vehicle? That’s what I thought. You even get a mileage log that keeps track of how far your teen has been driving. The icing on the cake here is the internal backup battery. Lets say the device becomes compromised, your kid knows they can’t just ditch it, so they’ll likely just unhook it from the power while they’re doing things they shouldn’t, then just hook it back up when they’re done. Unfortunately for them (and fortunately for you) it has a backup battery that will keep it running for up to 3 days. No word yet on pricing or availability.